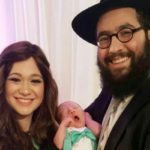 As reported by NBC4 news, a window of a Brooklyn Chabad synagogue run by Rabbi Menachem Heller and his wife was smashed on the Sabbath, while the rabbi and his family, including young children, were inside. 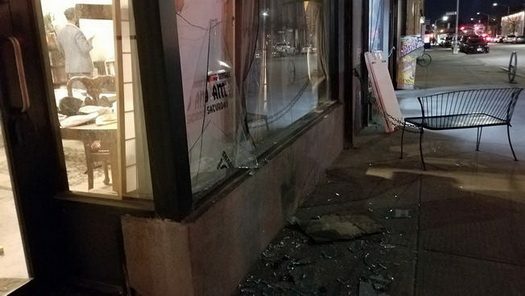 A large plate glass window was shattered in front of Chabad of Bushwick on Flushing Avenue, Rabbi Menachem Heller said. 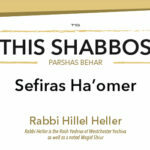 Heller said his family, including nine children, stays at the center for the duration of the Sabbath. Immediately after the glass was broken, Rabbi Heller said they saw two people walking away from the scene. Heller said they walked across the street and asked people to call 911 because, as observant Jews, they don’t use their phones on the Sabbath. They also flagged down police officers. 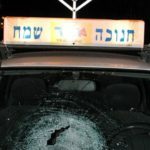 by telling other folk to call 911 for them it is as if the rabbi called and is a break of shabbos since it was only an inconvenience of the broken glass but also not necessary as the cops will do nothing but paperwork.